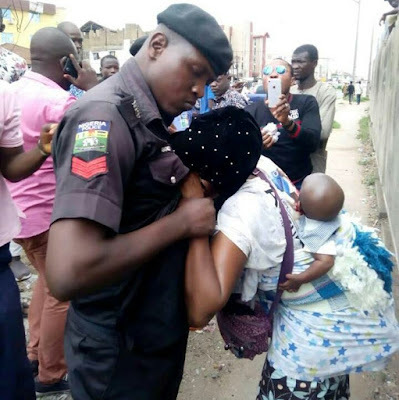 An alleged bribe-seeking police officer engaged a married woman with a baby on her back in a scuffle after she reportedly cautioned him against taking N50 bribe. The unfortunate incident happened yesterday around Mokola area of Ibadan. 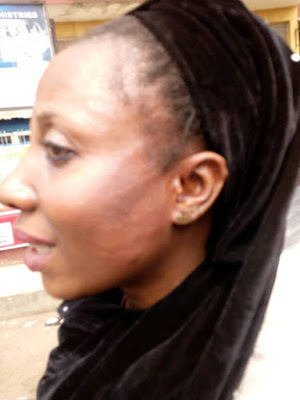 "This is Nigeria where policeman in uniform beat married woman even with her child on her back just because he was cautioned not to cause accident because of #50. Hmmm how are we sure he is responsible at home, his wife will be punching bag, why will people like this be in service... Government, please look into this! 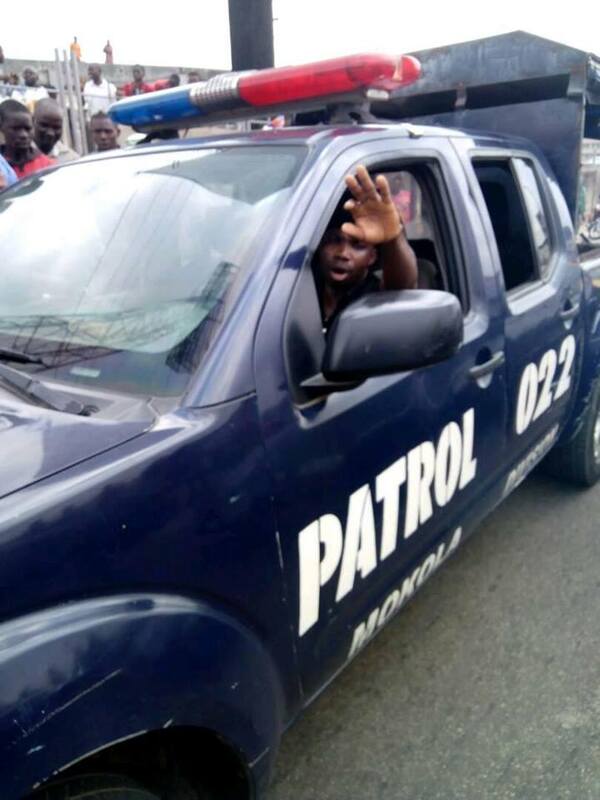 The incident happened at Mokola in front of Adamasigba. 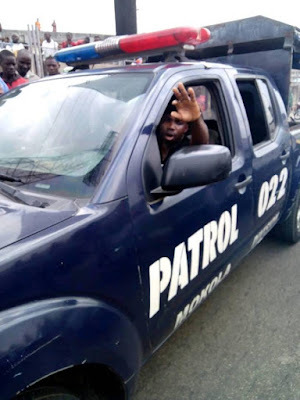 Nigeria police officer Kehinde Agbede Mokola division.."